Thessa McCoy in cooperation with Hewot Berhan Church that feeds school children lunch on Monday through Friday. 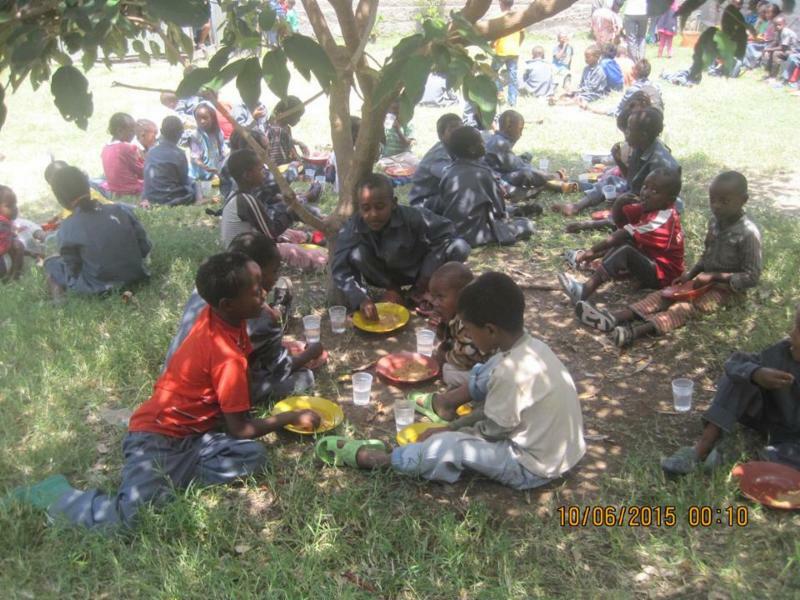 Currently 96 Children are being fed daily but the need is much larger as funding is available. To support this ministry donate through Fire Over Africa online or by mail at PO Box 427, Brentwood, CA 94513. Send me an email to designate your gift. 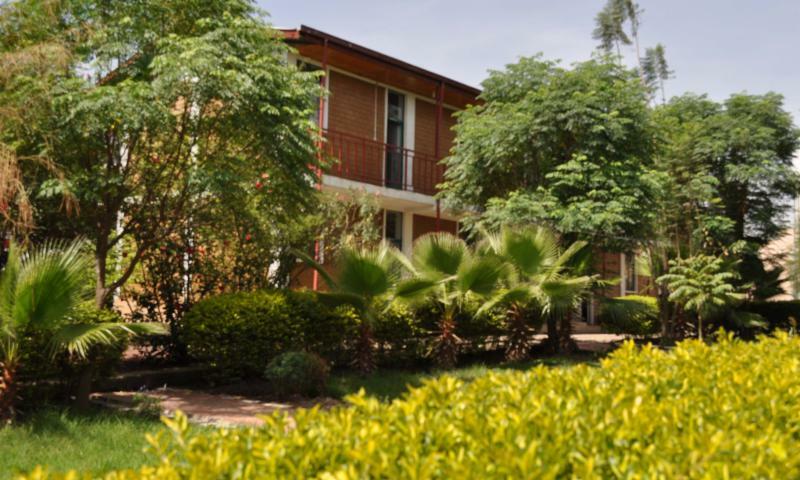 This is the SBCE dormitory where about 80 students live. We have 2 projects we need to do for the dorms in 2016. First we need to provide personal st orage space for each student in a locker. At this time students do not have a secure place to keep their personal items. This project will cost $3000 USD total or $150 per unit of 4 lockers. To support this ministry donate through Fire Over Africa online or by mail at PO Box 427, Brentwood, CA 94513. Send me an email to designate your gift. Our second dormitory project is to build a cafeteria for our students. This will be an outdoor cafeteria for which we have already created the space but we need to build the cafeteria itself which will cost about $4000 USD to complete. To support this ministry donate through Fire Over Africa online or by mail at PO Box 427, Brentwood, CA 94513. Send me an email to designate your gift. 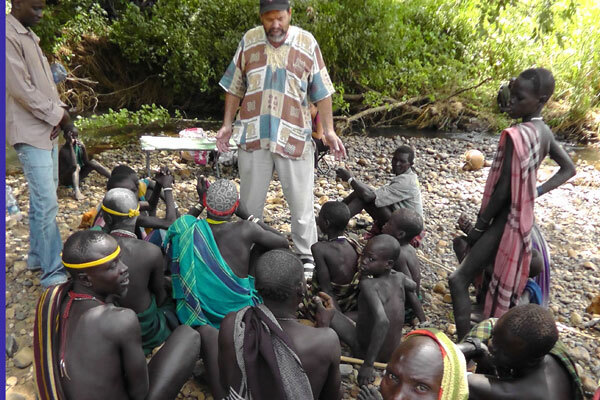 Our final project we want to add this year is to support the work of brother Ben Skaggs among the unreached tribal groups of the South Omo River Valley. He is one of the most experienced and effective ministries in this area working among the remote tribes of the south. He travels monthly to remote villages and people groups as well as supporting more than 10 local missionaries. We would like to support him with monthly support of $500 USD. To support this ministry donate through Fire Over Africa online or by mail at PO Box 427, Brentwood, CA 94513. Send me an email to designate your gift. Both the Diaspora Area Children Feeding Project and Ben Skaggs need monthly support and so if you are willing to share a regular monthly offering for them it would be great. The two SBCE Dormitory projects are one time expenses.